Can I run ea? if there are a few bars. 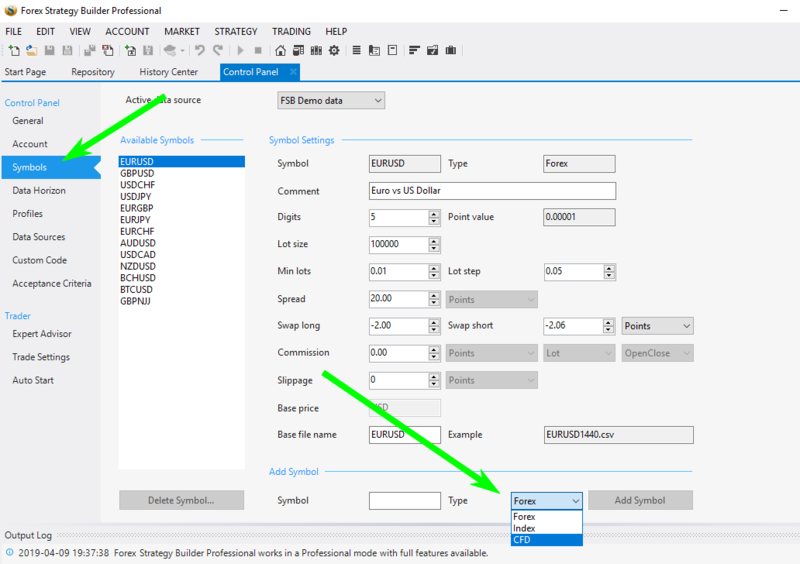 Forex Forum → Forex Strategy Builder Professional → Can I run ea? if there are a few bars. Topic: Can I run ea? if there are a few bars. I just found a good strategy. But The Entry&Exite rule consists of many timeframes and symbol logics at the same time. When I attached it to the chart. The ea will be removed automatically. Plz see the following image. Is it possible for the chart have no bar enough? I have tried to export Ea to *.Mt5. It works well. 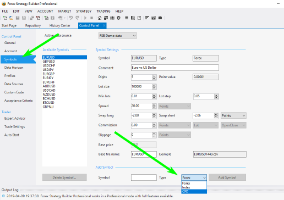 But *.mt5 cannot be used in portfolio-maker. Re: Can I run ea? if there are a few bars. If there are not enough bars then expert tab and journal has an error there, look through them for hints. Does the EA compile? Do you have the necessary timeframes available? Open separate charts for those TF's and see if it helps. I just go to compile again, then open the separate charts and increase bars by pressing "HOME" for all timeframe and symbol I used. I am sure that the chart have bars enough. If minimum require bars is 287. It's just around 12 days in H1 and 6 days in M30. The Ea still does not work. Thank you footon. No visible errors, unfortunately I can't test it currently on a platform. But try the one attached if it changes anything. Are there no error messages in Journal and Ea tab? How many bars do you have then for respective symbols? In MT point the cursor at the chart name tab below, then the number of bars will pop up. I think the EA will print the "not enough bars" message on the chart as well. I got the same result with ea you attached.There is some error on the expert tab. I attached them here. This is amount of bars I have count by your way. I dont know where Ea warn "not enough bars" as you said. There are enough bars, so we can rule it out. The problem seems to be in spread calculation, somehow Point value is returned as zero, it seems. Try the next version attached. Still got the same result. Thank to footon. I have tried to use your ea, It works for another broker (standard account),But my current account doesn't work. And I found your lastest EA is available for tickmill(standard). 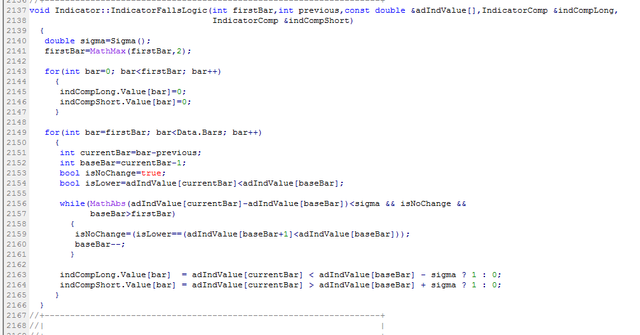 Hmm, yeah, the error is somewhere else... Now it shows array out of range error. And you have trouble with only micro accounts. Can you check your all 3 platforms and see what builds they are? In mt click Help->About and the build numbers, probably they are the same but lets be sure. But exness micro account still does not work on both, here is an error. It looks like this is a multi-market strategy. If some of the additional market indicators require more than 100 bars, we have to make MT loading them. Does yuor symbol is EURUSDc? 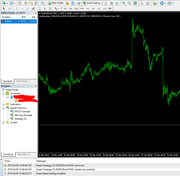 In that case, the strategy will not load the data because it searches for EURUSD. This can be the reason it shows that cannot load bars. Please search for "EURUSD" and replace it with EURUSDc. The strategy requires more market also. Please correct the other symbols in the expert. I solved by popov way. The ea is available now. Is it possible? The future, Exporting ea will change variable automatical from software. FSB Pro includes the exact symbol names in the EA. The most reliable way is to import the data from the broker you are going to trade. In your case, the symbols must be EURUSDc, GBPUSDc... and to use these when creating strategies. FSB Pro may complain of the symbol name because it may require six capital letters. Set them as "CFD" in such a case. I have a little doubt. set them as "CFD" , Does it mean to rename history data to CFD1440,CFD240,CFD60....? Then how to know which symbol is which? When you add a new symbol, set is as CFD. It allows using an arbitrary name. It is necessary because the "Forex" symbols must contain only 6 capital letters.